Before he famously labeled poker the “dark game”, Daniel Colman was just an online grinder with a dream. Here’s one of the inciting moments in his already legendary origin story – the EPT Monte Carlo Super Hight Roller. It’s the final episode of the highlight reel that is Colman’s meteoric rise to the upper echelons of the All-Time Money List as he battles a table full of sickos, including Daniel “Jungleman” Cates, in route to just his first of many 7-figure scores in 2014. Looking to Episode 2? No problem. We got you. EPTLive's comedic color commentator, Joe Stapleton, had such a good time celebrating Vicky Coren Mitchell's historic 2-time EPT victory back in April that he can barely remember what happened the night before. On his way to getting breakfast with his partner in broadcasting crime, James Hartigan, Stapes busts out his iPhone to try and get some answers and besides finding out that he’s pretty sure that he had a three-way, he found a mostly grumpy EPTLive staff unamused at his video antics. So anybody make a big score last week? If so tweet at us and let us know. Either way if you played last week you’re likely hooked on daily fantasy sports just like we are, and you probably have already started looking at your lineups for week seven, just as we have. Though we didn’t give you Joe Flacco last week, we did point you in the direction of Matt Forte who had a monster week against the Falcons. I know, we also recommended Matt Ryan and he was a total bust, but we’ll try to do better this week! For those of you playing Thursday night’s game give serious consideration to Tom Brady, as was evident last week, he is on a mission to prove all the doubters wrong, and is playing the Jets (one of the worst pass defenses in the league) at home! But, if you’re looking to capture that $1 Million first place prize over at DraftKings, you need to hit on your studs and your lower salaried players, so here are some guys we think have big upside or provide good value going into this weekend’s games. Quarterback: Andrew Luck – He is the highest salaried player at his position and for good reason, he is playing at home and the Cincinnati defense isn’t what it used to be. Expect Luck to put up big numbers. Or if you’re looking for more of a value play at the QB position, pay attention to Kirk Cousins. He’s playing at home with a full arsenal of weapons against a weak Tennessee defense. Running back: Jonathan Stewart – He may not be good but he’s definitely cheap at $3,700 and he should be in line to get a majority of the touches against one of the worst rushing defenses in the league in the Green Bay Packers. But be careful, if the Panthers get down early they could abandon the run altogether. Wide Receiver: Jordy Nelson – Again we’re making a pick from the top of the salary list, and again we’re looking at a player at home facing a defense whose better days are in the past. Look for Jordy to torch the Carolina secondary. Tight End: Jordan Reed – Coming back from injury last week Reed showed why he is a key piece to the Washington offense hauling in 8 passes for 92 yards on 11 targets. Reed looks to be a key component to the offense against this week at home and makes a nice pairing with Cousins. That’s all for this week. If you haven’t signed up to DraftKings you can do so by clicking right here. The NFL $2.2M Millionaire Maker costs only $27 to enter, pays $1 million to the winner and more than 15,000 entries overall will win cash prizes. Good luck and let us know how you do! 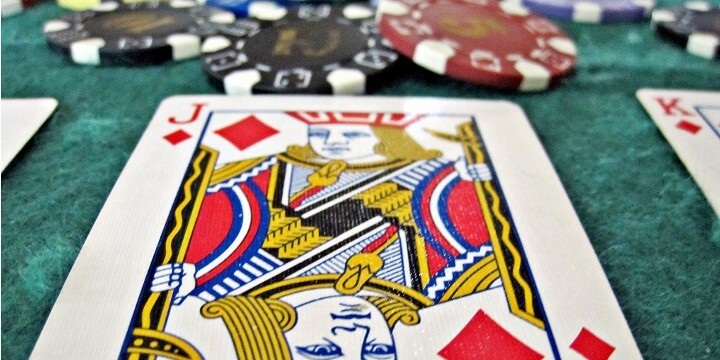 Dreyfus wakes up looking to help poker grow. We’re not exactly sure when the above interview was shot, but the recent chat with Global Poker Index's Alex Dreyfus delves into the GPI’s plan to bring poker to the mainstream masses by way of making it’s content available where those who love sports love to visit. 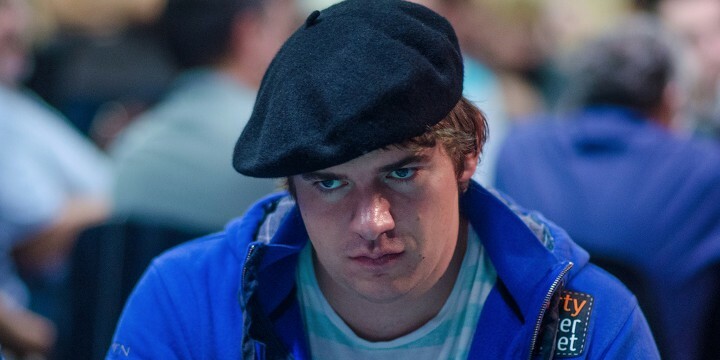 Alex is also a straight shooter and when asked about his differences with the #1 holder of WSOP bracelets, Phil Hellmuth, Dreyfus opts to call it like he sees it and says that, basically, by being 50 and having a family that Hellmuth isn’t playing enough to sit atop his rankings and that, basically “he can’t afford to be in the top poker players right now.” Dreyfus doesn’t necessarily mention in terms of cash money, he alludes to the time that it takes to grind to be the best. For that reason, he’s involved in this seemingly lighthearted clash of egos with The Poker Brat, one that even he knows he can’t win. Longform interviews with 3Bet Clothing pro players. 3Bet Poker Clothing grabs one of their premiere pros, 2-time WSOP bracelet winner and high rolling beast, Brian Rast for an extended conversation about all thing life and poker. Turns out, unbeknownst to us (and we’re guessing a lot of people) that “Beyond The Felt” already has multiple episodes in the can and posted online. So, we thought, if you liked the Rast interview, you may just want to binge watch some other conversations with popular 3Bet pros like Greg Mueller, Scott Clements and Elan Cohen. If you have an insatiable thirst for poker on TV then you are going to love this. The World Poker Tour has recently published the first three episodes of their Season 1 Florida Alpha8 stop. So if you’ve finished watching the EPTLive stream, sit back and check out nearly 3 hours worth of high rolling action. Episode 1 up top, 2 and 3 after the jump. To get a feel for just how exciting daily fantasy sports can be, check out this post by Andrew Wiggins, co-founder of the poker training site CardRunners and the daily fantasy sports site DraftDay. Andrew has since moved on from DraftDay, but he still keeps tabs on the industry and blogs about it for all to see. The post documents the DraftKings Millionaire Maker the week before last in which online poker studs SameENole and Brian “Stinger88” Hastings went into Monday night with a $1 million first place prize on the line. Andrew looks at some of the key plays that happened on Sunday to set up the exciting finish, and he gives an insider’s look into the negotiations that occurred Monday before kickoff as each of the seasoned poker professionals tried to secure the most value for their entries. And, if you haven’t signed up for an account at DraftKings, you can do so by clicking right here and get in on the $2.2 Million in cash being given away for just a $27 entry. You will even be helping to support one of your favorite poker news outlets in the process, so do it now! And, check back tomorrow as the staff here at F5 will let you in on who we think is going to score big this week in the NFL. Poker’s version of the Thunder From Down Under. Poker Brat pack gets one last hurrah. With the WSOP APAC Main Event winding down, there’s one last chance to win a bracelet in 2014 (for all but the members of the November 9) and that’s the $25K High Roller at the World Series of Poker APAC in Melbourne. Before the sun sets on the 2014 WSOP, some of the biggest names in poker head to dinner and take this picture postcard to remember all the shrimp that were once on the barbie. Phil Hellmuth, Daniel Negreanu (not at EPT London), Brian Rast, Jeff Gross and Antonio Esfandiari all look to be having a good time. While we’re not sure, we’re going to take a guess that it’s the junior member of the group, Jeff Madsen whose photography skills ended up being used and was forced to take the pic rather than be in it. One might think this is exactly what she’s been waiting for. Hellmuth denied extra mainstream exposure. 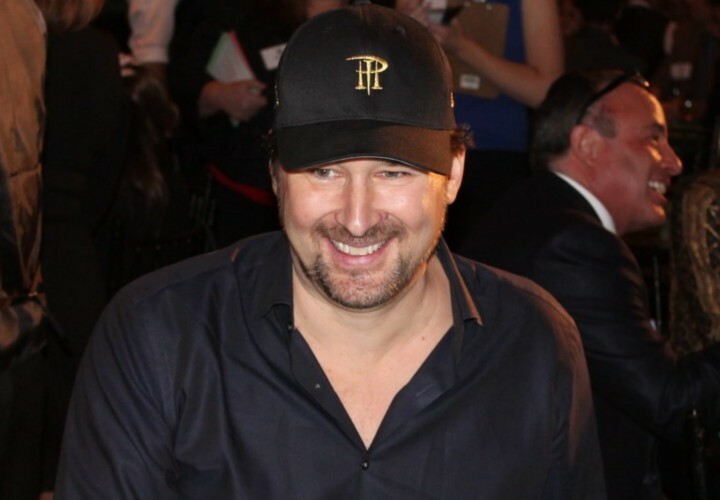 It seems that there’s nothing that 13-time World Series of Poker bracelet winner, and routine dropper of names, Phil Hellmuth, won’t give up for a little mainstream publicity – including Katherine, his wife of roughly 25 years. “Wife Swap“ is the television show where a pair of married couples exchange the matriarch of each family for a set period of time (a couple weeks) to see what drama may unfold. Phil’s recent tweet implies that there is or was an offer to include the burger eating poker champ on the table, and, while he was 100% game, “Honey!” had to put her foot down. One might think that while being married to Phil for that long of a period of time, that this would be the perfect opportunity/escape plan one might hope for. That said, it’s being rejected for now. Makes sense though as Phil’s wife Katherine, according to Wikipedia, is a Stanford psychologist perhaps giving her the mental fortitude to deal with Phil’s sometimes outrageous behavior and the good sense to turn down a show life “Wife Swap”. For all he knows, Phil might have dodged another bullet as it’d probably be a race to see if his lady would even come back after the swap. Phil’s luck knows no bounds. Over at PokerNews, Robert Woolley, tries to help beginners with some basic tips on battling back against the table bully. When a hyper-aggro guy tries to play and win every pot by putting you to the constant test, there’s an optimal way to handle that kind of beast: call. 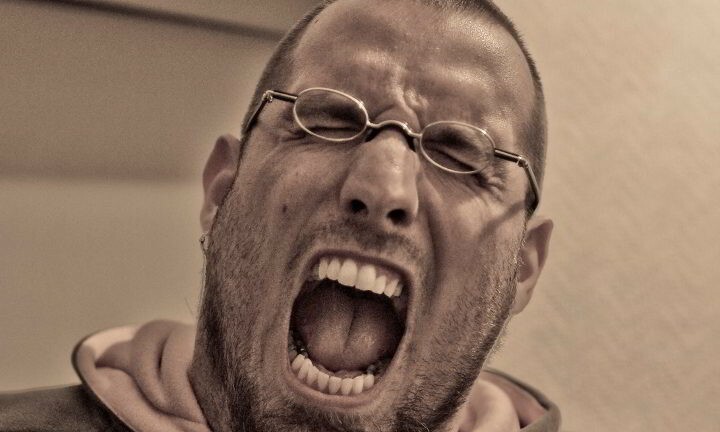 Woolley, by way of “The Mad Genius” Mike Caro, explains that getting run over or trying to go punch for punch with a poker bully will expose you to some major leaks – but calling against this type of player – could put you in position to capitalize on the bully missteps. Call more often. Because a bully is betting more hands, it’s obvious that he must be betting more than just the ones you would normally bet. This means you can relax your calling standards and still make a profit. It’s a solid piece of advice. Woolley adds his personal experience to go with Caro’s words of wisdom to help you the next time you have someone who thinks they can play any two all the time. New guys, old pros and hygiene tips from PNIA. A bunch of yappy poker pros having fun in a made-for-tv $25/$50 cash game. In this episode Christian Harder takes a seat along with some new faces looking to steal a pot from the likes of Tom Schneider, Gavin Smith and World Series of Poker Champ Greg Merson. Plus Nolan Dalla practically begs you not to bring your filthy skunk breath to the poker tables. We would like to echo his sentiments. Looking for more PNIA? Check out episode 13 right here. Poker tips from the Ultimate pro. You don’t have to do what Antonio Esfandiari tells you to do…but if you want to win and win consistently, it might be a good idea to listen up. Ultimate Poker asks their headline pro his opinion on limping vs. raising and “The Magician” gives a really really predictable answer. Aggressive poker is winning poker and Antonio can tell you why in just under a minute. Bonus: Across the pond, PokerNews is covering the EPT London stop and they ask players on the floor if they think that, on a starting day, playing tight is always right. Just computers doing computer stuff. The PokerStars PR machine is back on track after their previous video snafu with another G-rated look inside the operations at PokerStars. This time EPT Live’s James Hartigan chats with PokerStars Head of Communication Lee Jones to clarify exactly just how the online cards are dealt when you see them on your screen. Random numbers, beams of light, semi-opaque mirrors – they all factor in to how your pocket Aces get cracked on the river. In fact, Hartigan even speaks up for the conspiracy theorists that say that PokerStars is “so ****ing rigged” and, of course, Jones even has a pretty good answer for that. So, if you want to learn about the process by which PokerStars has dealt each of their billions of hands, murder free, check this out. One of poker’s more notorious personalities, 2-time WSOP Circuit Ring Winner Doug Lee, is being called out, once again, for some rather unbecoming behavior. This time, it’s by Jimmy Fricke and he tells a tale of Lee pulling a possible angle paired with an unacceptable choice of words in the recent Planet Hollywood $500K Guarantee. An angle and an insult from Lee. This didn’t sit well with crusader Allen Kessler who got to the bottom of the story from Jimmy himself and posted it on, where else, Two Plus Two. Doug gets away with this **** time after time after time. 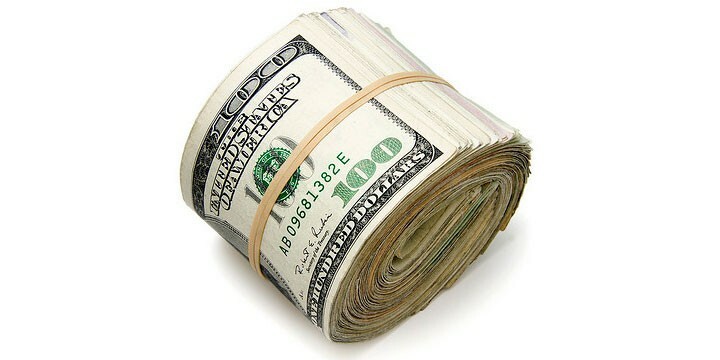 It’s really not funny when it happens to you in a spot where there’s so much money at stake. Shame on Planet Hollywood for not having the guts to do the right thing. Even a ****ing one hand penalty would make me feel better. They did a lot of stupid **** during this tournament but letting someone get away with this is ****ing inexcusable. Is it an angle? Is it worthy of a penalty? Most reputable posters think so and so do we but there are others that try to make a case that it’s not an angle. Let us know what you think. Is the name calling acceptable? That part we can all agree is not. It’s all up for an intense debate over on Two Plus Two, just waiting for you to chime in. Or you can just lurk and have a few laughs. Tennis great is taking on the play chips world. Tennis great and sponsored PokerStars Sports Pro Rafa Nadal is planning on taking to the felt today to battle the entire world at poker. Nadal will be sitting at a 6-max Zoom play chips table for a full hour and answering your questions while he’s busy fast folding. All you need to do to serve him up a query (that was bad) is hit him up on Twitter with the hashtag #AskRafa. If your question gets picked, he’ll answer it on the webcast. What’s the webcast you ask? Well, it starts at 8pm CET (2pm ET/ 11noon PT) and you can watch it live – right here! Another sponsored pro let go. It looks like the party’s over for the former #1 GPI ranked player in the world, Marvin Rettenmaier. On Sunday, “Mad” Marvin took to Facebook to announce that he and online poker site partypoker, his poker sponsor of roughly 2.5 years, are no longer affiliated. I would like to thank partypoker for the good collaboration and the fun times over the last 2.5 years. I’m playing day 1 of EPT London today and since I won the first tournament with partypoker it’s just common sense that I will win the first one without them as well! You may recall, Marvin spent two full years in the Global Poker Index top ten before sliding out during the World Series of Poker summer series. 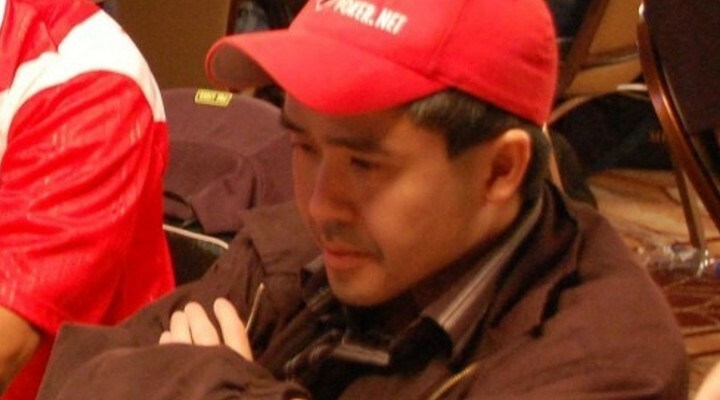 Marvin’s breakup with partypoker is now just one of many recent breakups between poker professionals and their one time online sponsor which include the likes of Jason Somerville, J.C. Tran and even World Series of Poker Champion, Joe Cada.